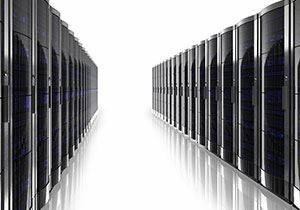 The most complex equipment at your company most likely resides within your data center. And because it houses your most important information, you want to make sure you move your data center right the first time. Here’s what to do to make sure your data center gets to your new location completely intact:1. Planning Costs the Most, So Do it Right One of the most important aspects of planning is making sure the temperature of your new location will stay in an acceptable range for your equipment. Interestingly, many data centers reach their temperature capacity before reaching their physical capacity. The room remains hot, even though plenty of space is available for more equipment. Another factor to keep in mind is that professionals who have done many data center moves know the amount of risk taken on during the move is directly proportionate to the amount of planning you do beforehand. When you plan to move to your new location, account for these factors and all others before actually making the move. 2. Which Move Method Will You Use? This depends on how much your employees and customers need access to the information in your data center. “The lift and shift” move is what you already know – do a backup, turn the equipment off, move it, install, and turn it back on again. The “swing move” involves setting up temporary systems and replicating the data at your destination while you move your equipment over. The “logical move” involves no physical movement of equipment whatsoever. This could entail moving all your data center information to the cloud. Or, you could have a central data center and then create virtual machines off-site. 3. Decommission Obsolete Equipment A move is a great time to upgrade or streamline your equipment. Newer equipment often automates processes that normally require manual labor. It also generally gets more reliable and durable than older equipment. If you have the budget available, consider replacing your old equipment with newer equipment. 4. Let Your CRN Team Member Do the Actual Moving They will have insurance, which covers you just in case something goes wrong. Moving your data center equipment requires knowledge of how to shield it from electrostatic and electromagnetic damage. Above all, approach the entire process with patience and an open mind. Moving your data center is no simple process. And if you work together with your CRN team as a partner, you’ll minimize the hassles and make your move as smooth as it can possibly be. 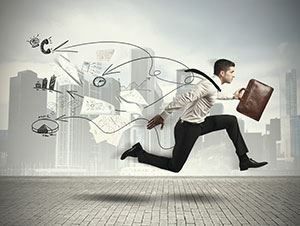 When you need to move your business you may be wondering where to start. Moving a business can be a big project and it’s normal to feel confused and even a little overwhelmed when starting this task. There’s no need to worry though because we’re going to help you figure out what steps you can take to begin an easier process for your move. Begin by making a survey of what you have in your business that needs to be relocated. Make a simple list of personnel, furniture, office equipment, and machines if any. This is important to do because when you find office movers who suit your needs, they will want to have this list. Making a space or floor diagram is also very useful. You will need to know how much room you have in your new facility and also ensure everything will fit in the new space. You can also make a list of people you will need to contact in order to prepare your personnel and equipment for your office move. 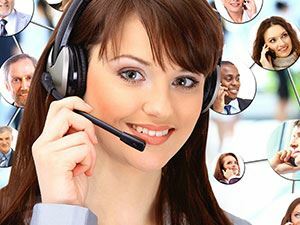 For example you will most likely need an IT specialist to help with disconnecting and reconnecting your networking and computer equipment. You might even want to find and have on hand a building inspector, an electrician, or some other specialists that may fit your specific business needs. The last thing you’ll want is to be scheduled past your moving date so be sure to plan ahead. Think about designating your own in-house move coordinator who will be responsible for helping your personnel prepare their individual offices and equipment for the move (labeling peripherals and furniture for example). This in-house move coordinator will basically be the main point of internal contact for your personnel. They can help with organizing your move by maintaining your schedule and corresponding with your office movers and their coordinator as well. These are just a few things you can do to better prepare for your office move, but remember that when you work with office movers who are members of CRN, you work with professionals who will help you along your moving project from start to finish. That includes scheduling on onsite survey with you and creating an outline for you to have as your moving guide. Moving is one of those things that we all hope will go according to plan, but sometimes things can be unintentionally overlooked or even missed altogether. 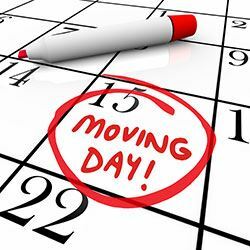 If you want to pre-plan your move before talking to your office movers, then don’t forget to include your destination plan. Things can go from bad to worse really fast. One of the most important things you need to do when planning your destination is to ensure the building or offices you are moving into are going to be sufficient for your personnel and assets. If you have heavy machinery for example, you will need to figure out if the floor will support the machinery weight. Other things that can be overlooked are low ceilings, tight access to destination rooms, and inadequate space or even parking. Some commercial relocation projects require full size tractor and trailer transport vehicles and in such a case you will need to retrieve special parking permits for both origin and destination. Otherwise your moving trucks can end up without proper access due to parked vehicles or traffic. It is highly recommended that you call your office mover and discuss your specific parking needs for both origin and destination to ensure your move out and move in days are ready to go with proper parking permits. In rare cases you may need to call your local police department and hire a police officer to manage and direct traffic for you. You may find that planning your relocation project can be overwhelming as some often do. That’s perfectly fine and there’s no need to worry. Working with members of CRN is a solution in and of itself because CRN is comprised of the best office movers available who are equipped with the experience and knowledge to help you plan a successful whole move from beginning to end. Ask your employees for their opinion. If your employees like the layout of the office, they’re going to enjoy being there. 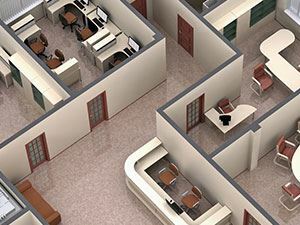 See what their thoughts are, and integrate them as best you can when determining the final layout of your office. Use attractive colors that inspire energy. Blue gets your mind going. Yellow makes you more creative. Green helps you feel balanced. Besides just paying attention to the color, though, you also have to take the brightness into consideration. Dull colors calm while bright colors energize. Use natural lighting as much as possible. It only makes sense that humans respond better to natural than artificial light. Keep all windows as clean as possible so the maximum amount of light can enter. Give your employees their privacy. Yes, open office plans are often looked upon with more regard than closed ones. 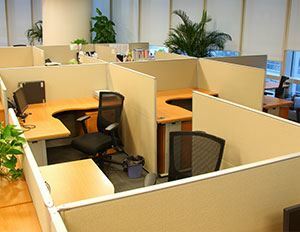 However, a 2011 study by two researchers at the University of Sydney Faculty of Architecture found employees working in open office plans are less productive. Their main reason was because they did not have the “sound privacy” they needed – there was too much noise for them to concentrate. Let your employees have their private space. Allow breaks and have well-outfitted break areas. Employees should have an area they can walk to and take a break. Ideally, they can quickly go outdoors and get a breath of fresh air. However, just having the physical facilities available isn’t enough to do so. Rather, your company needs to have a culture that makes employees feel comfortable when taking breaks. Get the temperature under control. Your office should be kept at a comfortable temperature year-round. Employees that are too hot or cold aren’t as productive. If you can’t keep your office space at an even temperature, get in touch with maintenance right away. Make sure all workspaces are ergonomically correct. Painful injuries, strained muscles, and missed work time are consequences of not following this practice. To make each workspace comfortable for an employee, make sure their elbows rest at a 90 degree angle in relation to the keyboard. Also, their feet should be planted firm and flat on the floor. Their knees should form a 90-degree angle, and they should have room to stretch out their legs. Ergonomic chairs should be purchased to make this easy for your employees. If you follow those office design tips, you’ll have a more productive workforce. This holds true, even if some of the tips differ from traditional thinking. Don’t forget to notify your customers of your move. You’ll need some sort of coordinated campaign that you use to promote the move to your new location. Whether that’s mail, e-mail, or word-of-mouth, make sure it happens. A good thing to do is to hold a celebration at your new location so you can build even stronger relationships with customers. Make sure you change your address on everything. Your website, e-mail signatures, flyers, brochures, business cards, letterhead, and letters should all reflect your current location. If your customer doesn’t hear about your move, at least they’ll logically figure it out when they see your new address. Choose a noticeable location. If it fits within your budget, and your location is critical to how well your business performs, make sure you choose one that’s easy to find. Don’t hide back off the main street. If you’re in a strip mall, get a sign out on the road that’s all your own. Notify your customers as far in advance as possible, and contact them more than once. Your customers may make their own mistakes, and they could misplace an e-mail or throw a letter in the garbage. Contact them multiple times using different methods. Post a banner in front of your current location. Send them an e-mail newsletter. Remind them when you talk in person. The more touches, the better. Give them a discount or a special sale to commemorate your move. When you do something special for your customers, they’re much more likely to remember you when you change locations. Offer a 10% discount for all returning customers. Throw in something free if you service B2B clients. You probably will experience some customer attrition when you move to your new location. However, if you implement these tips, you give yourself the best chance of keeping a majority of your customers. Buy green-friendly products in the first place. Make sure all the office equipment you own – computers, monitors, printers, ink, and toner, have Energy Star approval or are remanufactured. You can save big-time and for the long-term by purchasing inventory this way. Get high-PCR paper. No matter what type of business you run, you’re going to have to use a ton of paper. PCR paper is “Post-Consumer Recycled” paper. Some companies claim it’s of better quality than new paper. Although that still hasn’t been proven, it nonetheless is made of other recycled consumer products. Your company may not notice as much of an impact on its bottom line, but you will still be helping the environment. Use CFL light bulbs. They’re up to 75% more energy-efficient than traditional incandescent bulbs, and they can also last up to 10 times longer. LED light bulbs are even more efficient than CFLs, but they carry a heftier price tag up front. Get CFLs at a minimum, and purchase LEDs if you can wait longer to see the payoff. Eliminate vampire energy consumption. Did you know up to 75% of the energy your office equipment uses is consumed while it’s turned off? It’s true. Electronics can still draw power when plugged in and powered off. To address this problem, plug all equipment into surge protectors, and then switch the surge protectors off at the end of the day. 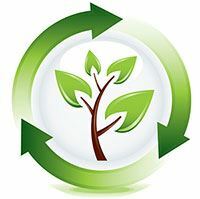 Recycle empty printer ink and toner cartridges. You can get a little financial benefit from this one because some retailers give you money back for doing this. It’s important to note, however, many ink and toner cartridges go straight to the landfill. Rather than doing that, figure out how to recycle both, and see if any retailer will pay you a little for doing so. Recycle your paper. Around half of all office paper gets recycled. When you think of how much paper your office uses, and then multiply that by all the businesses in the US, that comes to a massive number difficult to comprehend. It’s a huge boost to the environment if you recycle yours. Donate your unwanted furniture. It may be no good to you, but there’s undoubtedly a nonprofit, charity, or other organization that would be glad to take your furniture off your hands for you. If you don’t need your furniture, donate it to an organization whose cause you support. As you can see, most of those methods benefit your company financially. And those that don’t? Well, they still help the environment. Either way, your company reaps rewards for doing the right thing. Commercial Moving can be a difficult task in many cases but it doesn’t have to be with the right movers. When planning your relocation project, it is important to consider that you will need to work with your movers by communicating with them about the things that need to be done and how some items may need to be handled. It might be worthwhile to speak with the team lead or commercial foreman at the time of your job survey. Often a good first impression can result in a good idea of what working with him or her may be like. How is working with the Commercial Relocation Network an advantage for you? Choosing to work with members of CRN will make your moving experience less stressful and more successful. CRN has a high level of standard that applies to all of its members and customer service and the ability to do is included in that standard. 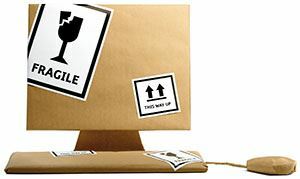 In some cases other commercial relocation movers may not be as customer service oriented as they ought to be and communication can go out the window: tasks aren’t completed properly, time is lost, and stress can be maxed out. With office movers who are members of CRN you will find that these types of negative impacts don’t exist. Rather, you’ll find competent movers who are ready to help you complete your move with as much success as possible. To sum it up, it is more than likely you will need to convey at least some aspects of your move to your commercial move foreman. He or she will then communicate your direction to their moving team and ensure completion of your instructions. A successful and efficient crew will deliver what you expect, which is what members of CRN are known for; success. Is it Time to Move to a New Office? You’re hiring lots of new employees. For whatever reason, hiring won’t slow down at your business. That’s one of the best indicators of all – it means you’re making your customers happy and profitability is fairly high. There’s not enough room for your equipment. Your employees are complaining they have no place to store all their supplies. You need to purchase new printers to accommodate your printing needs, but you have no place to put them. Whatever the specific problems are, if you have too much stuff, then it’s probably a good time to move. You’re embarrassed to show your office space to your clients. You started off with office space that just met your needs. Now, you have high-profile clients visiting who give off-putting looks whenever they visit you at your office. If you have bigger clients who expect a more professional representation of your business, then it may be time to find that space. You look at ads and see many deals being offered. If landlords are competing intensely with one another to get new tenants, that may be a perfect time to move your office and sign a long-term lease with low rates and favorable terms. You had to layoff personnel. If your company recently had to downsize significantly, that may also be a good (but unfortunate) time to get new office space. Why pay for space you aren’t going to use? Don’t jump the gun and make the move immediately, though. This downturn may simply be temporary, and perhaps in a few months your business could be back and stronger than ever. The economy takes a down-turn. Economic times, even when they’re going well, are uncertain. Who knows? The economy could take a massive nosedive tomorrow. If the economy decides to go south, you might consider looking at more modest office space, just in case that downturn happens to affect your business. That’s not a complete list of signs that it’s time to move your office, but it does give you an idea of some strong indicators. Just make sure you keep them in mind as you continue to operate in your current office space. Keep e-mails succinct and send as few as possible. Do you know the guy at the office who always sends 7 e-mails to get his point across? You can’t remember what his original e-mail meant because you’re so busy going through all the others. When you have to communicate via e-mail, send as few as you can. And keep them short. It’s easy to miscommunicate with longer e-mails because words can be subjectively understood. Be honest and direct. You know the person who talks around the real issue? They use long sentences, seem a little awkward in their demeanor, and you don’t quite get what they’re saying. Then, whatever the issue was, it continues to happen. That’s not the way to communicate verbally.Instead, be honest, direct, and succinct. Talk to your employees about the move in a respectful, tactful, but still honest way. Ask the other party their understanding of your communication. Whenever you complete your communication with the other party, ask them to talk about their understanding of what you just said. That way, you know you’ve communicated things properly. And if they didn’t get it the first time, clarify the parts they don’t understand. Be patient – if you get angry, that causes the other party to focus on your anger and lose the real message you’re trying to communicate. Proactively follow up. If you’ve communicated something to your CRN team or employees, and you get no immediate response, don’t leave things up to chance. Instead, follow up with them to see what the status of your request is. That way, you can stop stressing. Provide communication standards to everyone involved with the move. If you need daily communication in the form of an e-mail with your CRN team, let them know. Maybe you don’t need that right now, and a weekly phone call will do the job. Do the same with everyone participating in your office move. Make your standards clear and explain why they’re necessary. If you take these steps, you’ll iron out small problems before they become more major ones later on down the line. Clear communication isn’t always given the proper recognition it deserves, but the better you do it, the less stress you experience and the sooner your company moves to its new location.